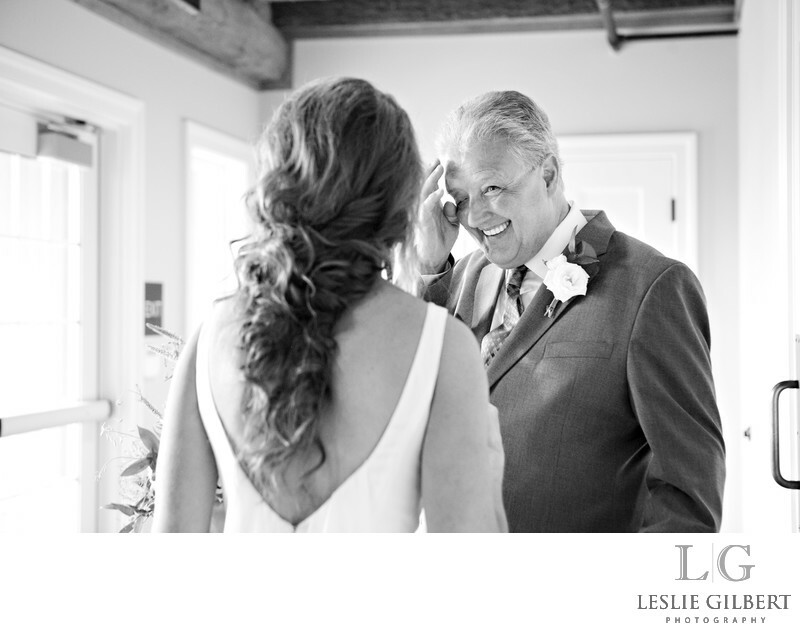 Waiting for your Dad to see you for the first time in your wedding dress is almost as nerve wracking and exciting as seeing your groom for the first time. The moment he sees you, he will get choked up and see his little girl all over again. I love these moments and being able to capture them so you can remember how he looked at you. Wyndridge farm has so many great spots to photograph especially if it happens to rain on your wedding day. The bride and groom get ready in close proximity so it is easy to go back and forth to capture all the getting ready moments leading up to your first look. Location: 885 S Pleasant Ave. Dallastown, Pa. 17313. Keywords: best wedding photographer (6), Leslie Gilbert photography (18), Wyndridge Farm Photographer (3), Wyndridge Farm Wedding (6), Wyndridge farms (3).